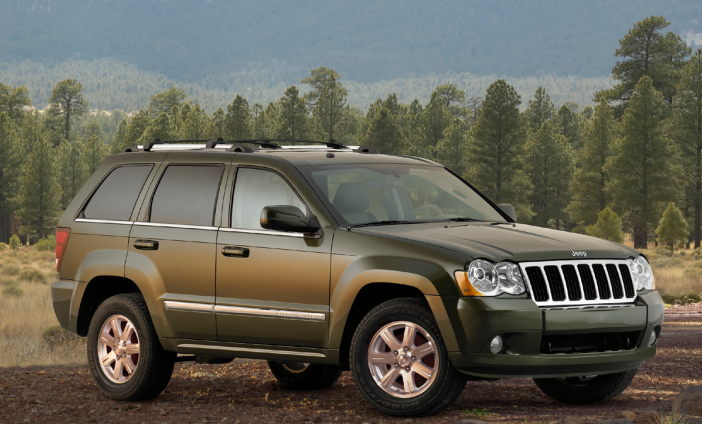 Jeep is creeping up into the premium SUV market with the 2008 Jeep Grand Cherokee CRD. The exterior design is great, I see it as a style couples could agree on, not too masculine not too feminine right in the middle ground. Now not only is the exterior design good, Jeep went to their partners, Mercedes-Benz in 2007 to get the 3.0L V6 diesel. Now this is the same diesel engine that Mercedes puts in their own SUVs. In the Jeep this engine produces 215 horsepower and 376 lb-ft of torque. You can also tow up to 7,400lbs. Reviewers love it’s on and off road characteristics, but thought the ground clearance was a little too low in certain off road situations. EPA ratings are 17 mpg in the city and 22 on the highway, but in the real world these numbers would increase. Dieselpowermag reported averaging 16mpg off road. Prices start at $38,475 for 4×2 models, and $41,715 for 4×4 models.